London - Sri Lankan batsman Mahela Jayawardene has agreed to play with Sussex in the first half of England's domestic Twenty20 competition, the county cricket club said on Friday. Jayawardene, who is currently taking part in the Cricket World Cup in Australia and New Zealand, will be available for the first seven matches of Sussex's campaign, beginning with the match against Kent on May 15. 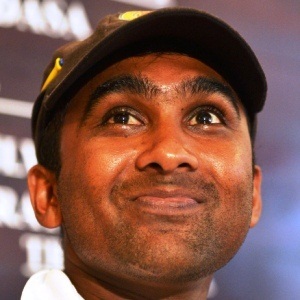 Jayawardene said he was looking forward to his stint with Sussex and hoped to give their title hopes a boost. "I am really exciting about basing myself down at Hove and playing for Sussex during the first half of the summer," he said in a statement. "Sussex is a great club with a proud history and I want to help them win the NatWest T20 Blast this year." The 37-year-old, who has scored more than 10 000 runs in both Test and one-day international formats, ended his international Twenty20 career last year after compiling almost 1 500 runs in 55 matches. He signed off by helping Sri Lanka beat India in the Twenty20 World Cup final in April in Bangladesh. Jayawardene has already called time on his test career and will play his last ODI for Sri Lanka at the World Cup. Sussex Professional Cricket Manager Mark Robinson hailed the "fantastic" signing. "His record and his reputation is second to none, and he will also bring into our dressing room his leadership and experience," said Robinson.